Poland’s Lubelskie region, located in the eastern part of the country, is perceived as traditionally agricultural with farmland accounting for 70 per cent of the region’s territory, compared to an average of 60 per cent across the country. That has not, however, been an obstacle for another sector — IT and business services — to grow exponentially. Companies such as Convergys, Billennium and DataArt, to name just a few, all now have bases in Lublin. “Lublin is our biggest delivery centre in the world. We started from scratch, and have achieved this thanks to the great cooperation we have with local universities as well as the local authorities,” Bartosz Łopiński, CEO of Billennium, tells Emerging Europe. 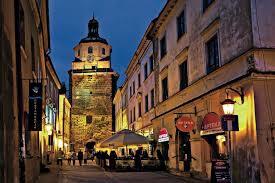 “Currently, Lublin is the most rapidly developing urban area in Poland. As in any other large city with a rich industrial history, its current and future economy is determined by past experiences,” says Łukasz Goś, deputy director of the Department of Strategy and Investor Relations at Lublin City Hall. “The changes which have taken place over the last few years have been aimed at creating a transport infrastructure and business space of superior quality. Consequently, Lublin’s image has been enhanced dramatically,” he adds. According to City Hall, over the last five years 53 new companies have decided to run their business activities in Lublin, both in industry and the service sectors. The pool of talent available in the city and the region is a frequent reason cited by businesses which have moved to Lublin. On average the cost of running a business in the city is approximately 10-15 per cent lower than, for example, Warsaw. One in five inhabitants of the region has a university degree, and each year 20,000 graduates enter the labour market. There are currently 4,600 students enrolled on seven IT programmes in five out of nine universities. “There is a great university ecosystem, that really cooperates well with local government. We have our own lecturers teaching at the universities. Our goal is to put theory into practice,” says Billennium’s Mr Łopiński. “The local government works very closely with universities in Lublin and the Lubelskie region, creating programmes such as Lublin IT Upland. They cooperate with businesses and academia to prepare students for the future,” says DataArt’s Mr Krasowski. There are 14 incubators and business accelerators in the region. Their network is created both by institutions affiliated with universities and spaces operating within a commercial business model. Their offer is focused on small, mainly technological companies and start-ups. Ewa Dąbrowska, senior director Eastern Europe at Convergys, says that while this is something that happens across Poland, in their experience academia’s commitment to cooperation and partnerships is nowhere near as efficient as Lublin. Lubelskie shares borders with both Belarus and Ukraine, and in recent years there has been a huge influx of talent coming from those countries. “We have seen a lot of talented people coming in, but even though there is demand for them, it remains a lengthy process to get work permits issued for them. It takes up to six months to sort out the paperwork of a non-EU worker. It is time consuming and costly, especially as we want to hire people permanently,” says Convergys’ Ms Dąbrowska. Lublin’s proximity to Warsaw is another advantage of the region, as the city is less than 200 kilometres away from Poland’s capital. However, as the Marshall Office’s Mr Habza confirms, the region is still struggling with infrastructural accessibility. “Given its close proximity to Warsaw you would think that getting to Lublin is easy. Unfortunately it has been made harder by the ongoing construction of a new highway and updating of the railway,” says Billennium’s Mr Łopiński. “Currently there are a number of huge projects being implemented to improve infrastructure, including construction of the S17 express road from Lublin and Warsaw which will be completed by 2021, as well as modernisation of the railway from Lublin to the capital. Once completed, travelling time between the cities will be down to 90 minutes. These investments will complement the operation of the Lublin Airport, which was opened in 2012 and is one of the most modern regional airports in Poland with daily flights to London Stansted and Luton, as well as regular flights to Doncaster Sheffield and Liverpool,” says Mr Habza. That’s just connections to the UK. There are also direct flights to Oslo, Tel Aviv, Stockholm, Milan, Eindhoven and Dublin, which not only enhances business but also tourism. According to the Marshall Office, in 2017 the region was visited by 3.7 million people, of which 1.6 million foreigners. Mr Goś also says that Lublin boasts a long tradition in the automotive and machinery sectors going back to the 1920-1930s. “The tradition of the Lorry Production Plant, and later the Daewoo Motor Poland Factory is now being continued by numerous small and medium companies using the resources and long-term experience of Lublin industry. There are a number of sub-suppliers creating components for vehicles produced on the assembly lines of large automotive producers as well as R&D centres specialising in the design of innovative technological solutions for the needs of particular clients,” Mr Goś tells Emerging Europe. Lubelskie has clearly developed from its humble beginnings as an agricultural region. However, while IT and service providers are leading the way at present, both new and established companies working in agriculture are moving with the times, adopting agri-tech and biotech so as to build on their established sector know-how and provide a sustainable future for their companies. Lublin-based Nexbio treats plants and crops the same way a doctor would treat a patient. It creates tailor-made solutions to combating diseases that would otherwise destroy crops, and in turn increases product yield while reducing costs. “We provide solutions for agri-tech, we use molecular tests to create tailor-made chemicals to treat crops. Our aim is to create a third tier between mass production and organic farming, and grow the biotech sector in agriculture whilst abiding by the strict regulations provided by the EU,” says Nexbio’s managing director, Marcin Starycha. “Of the leading 300 farms in Poland, some of the top 10 are located in the Lubelskie region. Agri-tech and biotech are growing rapidly. They are the way forward,” he adds.